Fancy trying tai chi? Or Nordic walking? With ParkLives we’re running a daily series of free, family-friendly outdoor activities in the heart of local communities – the parks. From Zumba to rounders and yoga to den-building, our sessions make the most of the great outdoors and there’s something for everyone! The programme first kicked off in 2014 in Birmingham, Newcastle and the London borough of Newham, but we didn't stop there. ParkLives is now in Nottingham, Manchester, Glasgow, Dundee, Southampton, Stoke-on-Trent and Swansea. Why does Coca-Cola Great Britain support ParkLives? 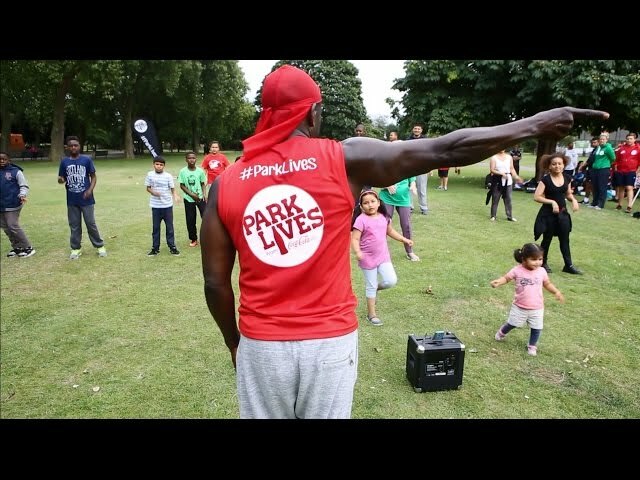 We’ve supported programmes which invest in the wellbeing of local communities and grassroots organisations for many years, and with ParkLives we aim to continue doing that. Parks are special places which are real assets to local communities – they’re free, local and open to everyone. And spending time in green space is a great way to naturally boost your mood and help bust the stress of everyday life. We're also working with our community partner StreetGames to bring ParkLives to new locations and young people in disadvantaged communities across the UK.